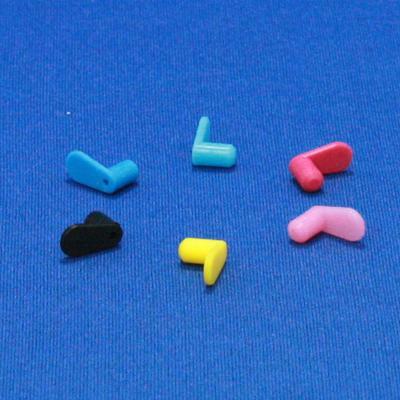 Package Of Six Colored Plugs That Are Used For The Empty Refillable Epson, Canon And HP Cartridges. These Plugs Have A Pull Tab On Them. Assortment Of Colors.